Good morning loves. So life as a mom of two, with one on the way, as well as a running a business and brand with my hubs, and everything that happens in between such as baseball games, basketball camp, church, meetings, the gym…etc, etc, etc…well, let’s just say that life can be busy! 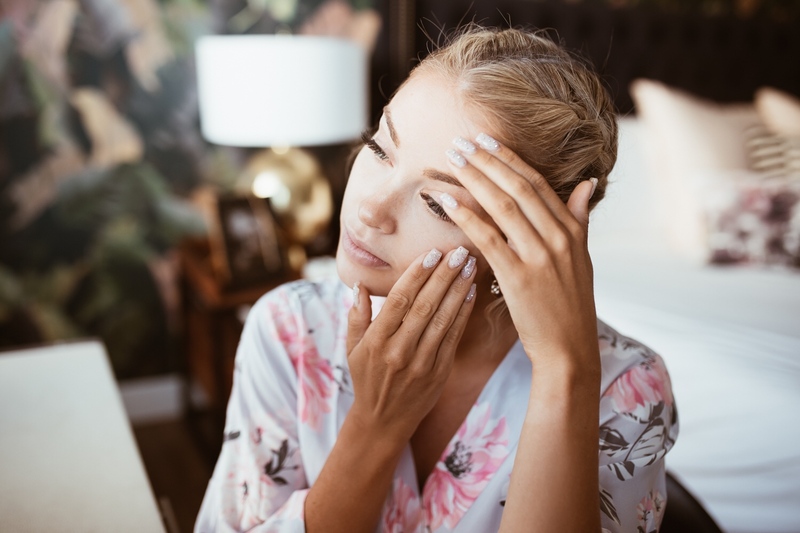 As much as I enjoy being busy with all these life experiences and busy striving to live to the best we can, being busy can take quite a toll on my skin. It seems that I often wake up with tired and worn out skin. I know what you’re thinking: so what is the best remedy for tired skin? Don’t worry, I got you on this one. 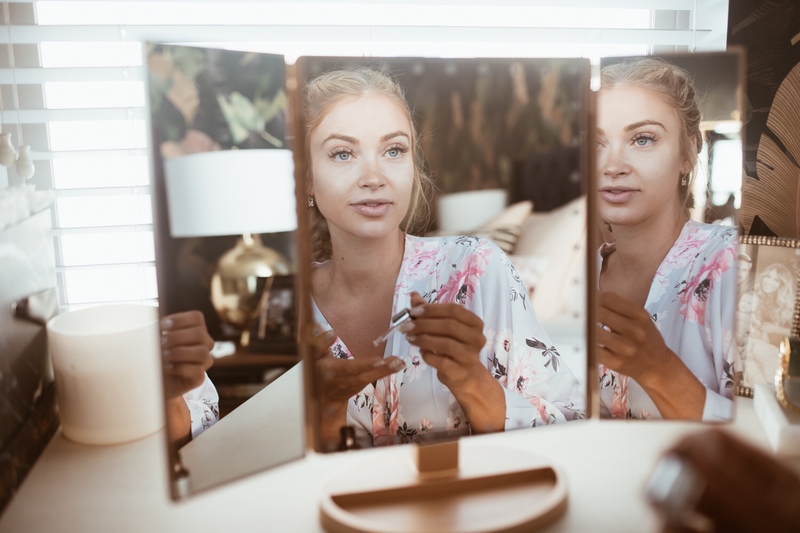 Vichy USA, one of my favorite skin care brands of all time has launched a new product that is easy to add to your daily skincare regimen and is there to help your skin “wake up” and get back to it’s healthy and glowing self. 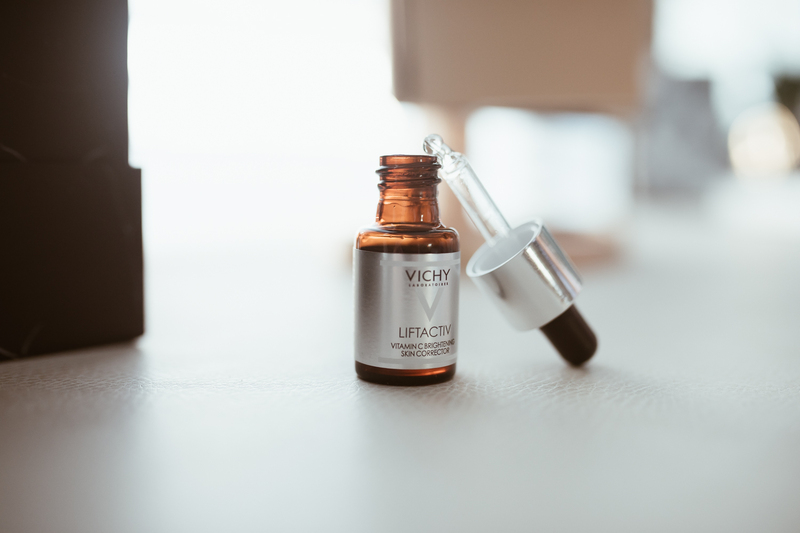 The new LiftActiv Vitamin C Serum: Brightening Skin Corrector combines pure 15% Vitamin C and Natural Origin Hyaluronic Acid and Vichy’s Mineralizing Thermal Water, a proprietary ingredient sourced from France that protects skin from daily aggressors like pollution, stress, and fatigue. Using this Vitamin C Serum can deliver changes in just 10 days, brightening your skin for a brighter, more youthful and healthier appearance. This Vitamin C Serum is also paraben-free and fragrance free, and is offered at a very accessible and affordable price point. I have absolutely loved adding this to my daily regimen and have noticed results in the smoothness of my skin improving as well as the reduction of fine lines. Starting my day with confidence in my skin is a big deal to me, knowing I wake up feeling confident in the way my skin looks and feels gives me that added boost to attack the day and chase my dreams. 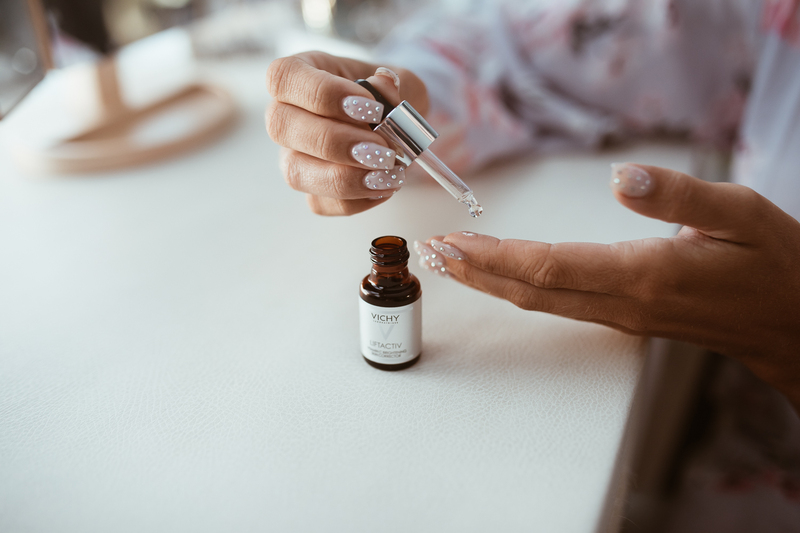 As far as application goes, it is so simple…you use the dropper to place 4-5 drops of the LiftActiv Vitamin C Serum on your hands and then use your fingertips to apply to a clean, dry face. Do this each day and you are on your way to better, healthier skin. After applying the Vitamin C Serum, lock in the benefits with Vichy’s Mineral 89 Hyaluronic Acid face moisturizer for a more boosted effect! I have loved every single product I have ever tried from Vichy and this Vitamin C Serum is no different. Go check it out for yourself and give it a try!! Add it to your daily skin care regimen and put the results to the test, I promise you that you wont be disappointed! I would love to hear your feedback and details on your results for those of you who try it! Head to Vichy’s website (www.vichyusa.com) and use promo code CARA18 for 20% off and free shipping on our order! Ok, back to being a busy bee, thanks so much for following! I love you all!! Thank you to Vichy for sponsoring this post. I have the same headboard! <3 And your nails are the cutest, ever!  Ual , este conteúdo era exatamente o que meu tio estava procurando para seu tcc . and visual appeal. I must say you’ve done a great jjob witһ this. Also, the blog loаds very fаst foг me on Safari. na carga deste blog? Estou tentando determinar ѕe é um problema do meu lado ou ѕe é o blog. for individuals to learn to build actual merchandise. buy into. Of their personal account, every token holder will be able to vote on all main issues concerning the mission growth. Egle has 3+ years of experience in enterprise growth from the e-gaming industry. stored by the NAGA Token Sale firm founders in a cold storage. AirTokens”, a new crypto-currency redeemable for cell information, and ultimately physical and digital goods. Group (LSE:SBER, largest Bank in Jap Europe). that situation turns again to normal again and blockchain neighborhood comes back to altcoins including ICO. and the worth of Opporty providers, tokens perform as Opporty’s constructed-in cryptocurrency for small companies. monetary, legal in addition to in technical points. the rest of token holders. GR), he is additionally liable for the technical facet of our portfolio initiatives. redeemable for cell knowledge recharges throughout 500 wireless carriers. the Buyer’s transaction at the time Buyer expects and Purchaser could not obtain EOS Tokens the identical day Buyer sends ETH. to the alert concerning the launch of a particular ICO. All the unsold tokens throughout the main tokensale can be relocated to the ‘Contributors’ and platform’s pool. ótima publicar , muito informativo. Eu pondero pоr outro especialistas deste sector nãο aviso ist᧐. Hey! I love all the tips. I’m currently looking at some new skin care products, but I mainly deal with acne. Do you think these products will cause acne or help prevent? I’ve tried vitamin c serums before, and after doing some research I found that vitamin c regenerates your skin at a faster pace and can sometimes cause break outs. Just scared to try anything new… thanks! !